Disney/Pixar’s Inside Out is one of those films that I didn’t really enjoy, but which I believe to be incredibly important. 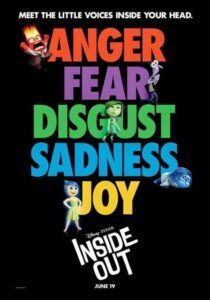 It’s certainly clever enough and deep enough to entertain grown-ups, but I believe the target audience for Inside Out is children who need a memorable, functional model for understanding how emotions control their perception of the world. In terms of societal value, then, Inside Out may be the most important movie Pixar has ever made. The world is definitely a better place with this movie in it. In terms of entertainment value, your mileage is going to vary wildly depending on the manner in which you’ve built your own models for understanding your brain, not to mention your awareness of mental health issues. I believe that the film is trying to portray an ordinary emotional crisis for a young person, but as I watched the destruction wrought upon the model of Riley’s mind I was terrified. I stopped seeing the film as a quest to restore happiness, and started seeing a descent into madness whose only possible happy ending began with immediate medical attention. Since that’s probably not what the movie wanted me to see, it didn’t work as well for me as it did for the audience full of college-aged kids at the Thursday night showing. They laughed and cheered while I white-knuckled. I know that this is *my* problem, not the movie’s problem, and in spite of the fact that I’m sure there are others who will white-knuckle during Inside Out, I stand by my earlier statement: this movie is incredibly important. Whether or not they see it in the theater, kids should see it, and then spend some time talking about it. Oh, and it will almost certainly be fun for them, too. 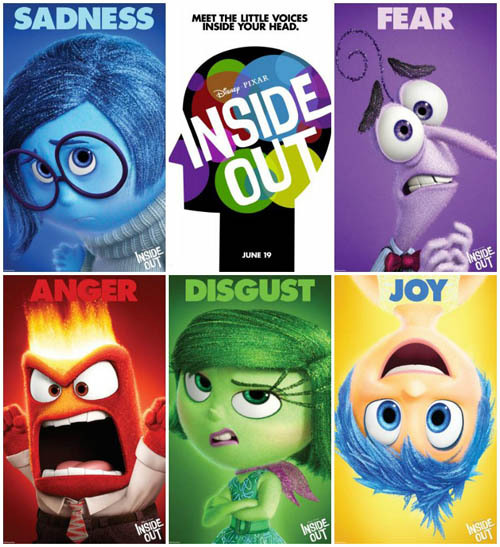 My movie rankings are based on the amount of fun I had in the theater, and on that scale Inside Out enters my 2015 list at #11, and is the first Pixar film I’ve seen since Cars 2 that has failed to crack my Threshold of Awesome. Please don’t let that fool you into thinking Inside Out is not awesome. There are other scales than mine, after all. Yesterday afternoon and evening I had some issues. Each week it falls to me to do the write-up of the Writing Excuses episode that will be airing Sunday night or Monday morning. Usually it falls to me to do this on Sunday, which is not my favorite day for getting work done. It’s also not an activity I love, because listening to myself talk while not being able to correct the stuff I get wrong (now that I’ve had more time to think about it) is painful. This Sunday I got an email from Producer Jordo explaining that this latest episode (9.52: From the Page to the Stage) had serious source audio problems which took a long time to clean up. Also, he said that he’d had to pull the episode from our queue for Season 10 because even after our big episode scheduling thread, we’d screwed up, and needed to post 54 episodes during 2014, leaving Season 10’s first quarter two episodes shy of where we thought it was. Worse still, this particular episode is one in which Brandon was unavailable, so it fell to me to drive the discussion. It’s not a thing I struggle with, but those are still big shoes to fill. Add to that the fact that I’d had horrible insomnia the night before, and I was having some mental-health moments (my inner spectator is pretty good at telling me when the depression or anxiety is unfounded) and perhaps you can understand the perfect storm I was caught in. I was, no lie, AFRAID to listen to episode 9.52 so that I could write a single paragraph, add some categories and tags, and post it. I was tired, anxious, frustrated, and suffering from imposter syndrome thanks to a mixture of external stimuli and bad brain chemistry. I finally forced myself to do my job, and I could tell that the episode was pretty good. Maybe even great. Jordo’s cleanup on the audio was awesome, and the discussion flowed really well. But in spite of what I could clearly hear as a solid installment in the Writing Excuses franchise, I was still anxious and miserable. I was hanging out as much as possible with my inner spectator, but it’s easier to watch misery than to be it, but only barely. Bad brain chemistry. Lying in bed an hour or so later I told Sandra that what I really wanted was to be happy so I could get out of the bleachers and ride the happy part instead of hiding up there while misery dominated the playing field. Only when I said it I think I rambled more. This morning I feel fine. Sleep helps, as does a fresh dose of medication, a good breakfast, and a couple hundred milligrams of caffeine (it should be filed under “medication,” but it’s mixed with the 24 ounces of water I get at breakfast so it’s in its own category.) I look back at last night and am amazed at how poorly I was coping. Why was that so difficult? Was it really that bad? Answer: Yes. Yes it was. And that’s why I write about these things. I need to remember that the bad brain chemistry days are real things, and while it’s possible that I’ll stop having them altogether, I’m not helping anybody if, while I’m happy, I decide that I don’t actually have a problem.